Diamonds, and the rings in which we see them set, come in all shapes and sizes. Often, it is a matter of personal taste as to whether the ring is discrete or a little bolder. 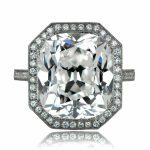 In this article learn more about big diamond rings and what makes them so special. But are there advantages in looking for larger diamonds? After all, they cost more to buy, cost more to insure, and require more care to prevent damage, amongst other considerations. Actually, there are plenty of benefits to sourcing larger diamonds. All polished diamonds are beautiful, there can be no argument about that. There is, though, something beguiling about a high-quality stone once you get above a certain weight. Diamonds of 1 carat or under in weight account for the majority of those bought in the US. By the time you get above 2 carats, the available stock is much smaller. The further you go up in weight, the steeper the pricing arc becomes. It’s down to simple supply and demand. Gemstone quality diamonds are rare anyway, but large ones are incredibly rare finds indeed. This fact alone helps to increase the mystique surrounding large diamonds. This often means that cutters and ring designers approach large diamonds differently. The key is to select a cut which offers the most sparkle, and this isn’t always so obvious when you are dealing with diamonds above 3 or 4 carats. 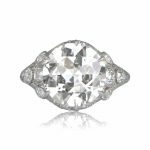 The round brilliant cut accounts for about 75% of all diamonds sold in the US, and around 30% of those go into solitaire diamond rings. Once you get to larger sized diamonds, the round brilliant might not be quite the best option. 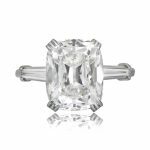 Often, with those larger stones, we are more likely to see cushion or Asscher cuts. Even emerald cuts turn of regularly on large diamonds. 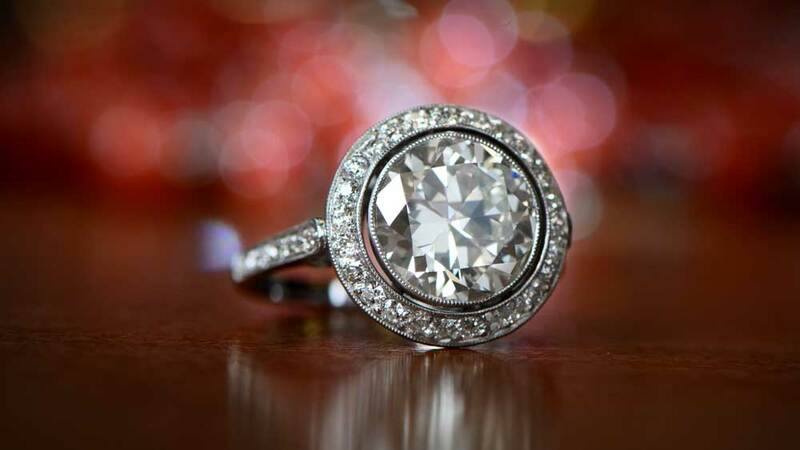 It may part of it that a round brilliant cut of a particular size might portray a sense of “bling”. An oblong-type cut might also appear to be a little more subtle cut for a not-very-subtle diamond. That’s not to say you won’t find spectacular rings with large, round brilliant cut diamonds, because you will. You will just find as many in other cuts, which is unusual for diamonds. Why Buy a Big Engagement Ring? Well, why not? If you are in the market for a diamond ring, being a little savvy can get you a lot more than you might think. Diamonds are usually priced in quarter carats for smaller stones, or half and even full carats for larger ones. In effect, what this means is that a 2.90ct diamond ring may cost the same as a 2.50ct ring. Likewise, a 3ct ring may be the same price as a 3.40ct ring. There’s rarely a percentage price applied on a per carat basis with diamond rings. 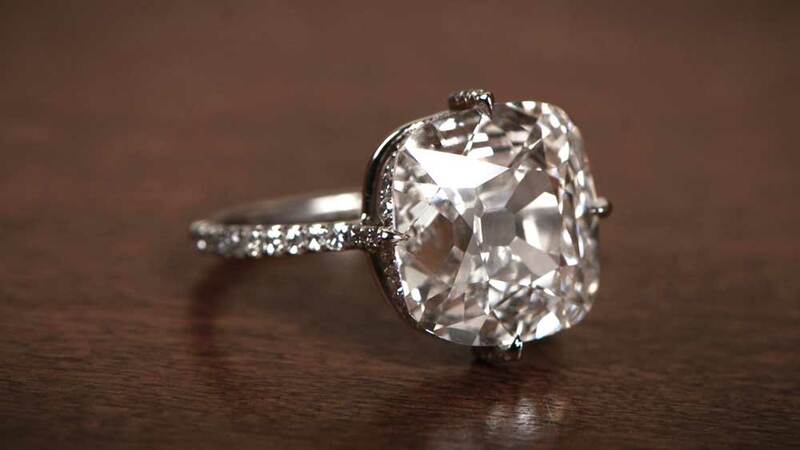 You simply won’t see a 4.4ct diamond costing 10% more than a 4ct ring. The next price change will be at 4.5ct or even 5ct in some circumstances. So, if someone offered you up t0 almost half a carat of diamond “for free”, wouldn’t you take it? Of course, you would. 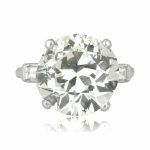 As mentioned earlier, the price arc gets very steep by 5 carats, so another half carat on top can be a very nice addon indeed. There’s no point trying to convince you that big diamonds can be found at bargain prices because they simply can’t. But that works both ways. 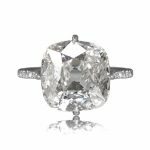 If you buy, say, a 1.50ct diamond, but decide later that you wish to sell the ring, the diamond will prove to have been a less than stellar investment. It isn’t that the jeweler is being cheap in some way, it’s just that he can buy stones of an equal size and quality quite easily from a wholesaler. And he can probably do it quite cheaply. Although the process of diamonds does fluctuate like any other commodity, the rate of change at the lower end is usually quite modest. Quality diamonds above 5ct, though, are a whole different ballgame. Even to a jeweler, big diamond sizes don’t come cheap. The market price can also vary quite significantly over a short period, depending on the level of supply. This makes your purchase of a ring containing a large diamond quite a viable investment. Whether selling to a jeweler or on the open market, it wouldn’t be unusual to find your ring worth more than when you bought it. As with any product that is priced according to market rates, it’s all about picking your time. Look at how prices have shifted, find a reputable jeweler and ask them about it. Some will already have a buyer in mind and may be willing to stretch the price a little. The short and long of it is that large diamonds, whether loose or in a setting, will maintain their value much better than smaller stones. Is it like owning a Van Gogh that you bought in a yard sale? No, but there aren’t many commodities which have as much chance of keeping their value as large diamonds. 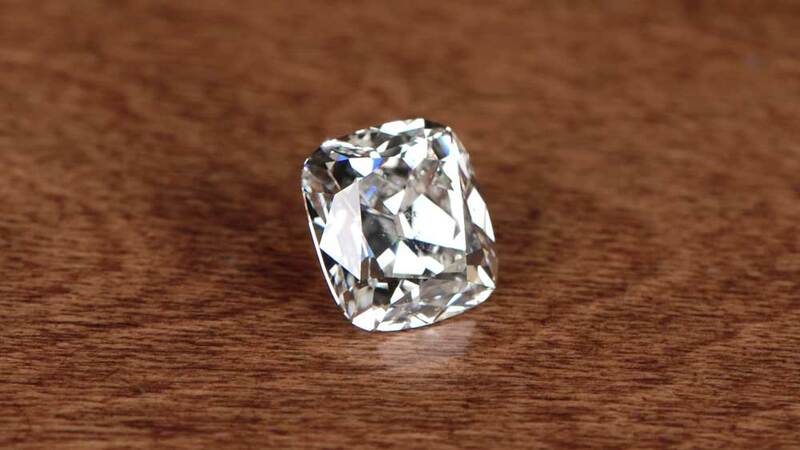 Keeping your big diamond in tip-top condition is similar to the principle for smaller diamonds. Clean it regularly, and make sure it is insured appropriately (remember what we said above, about appreciating values). Although larger diamonds are often more robust than small diamonds, particularly around the girdle, because of the tendency to use oblong cuts, this means you have 4 corners that can easily be chipped. You might not like it, but diamond rings above a certain size probably aren’t meant for everyday wear for most people. The risk of damage at work or even just when cooking dinner is just too great. Once a diamond has suffered damage, it cannot be repaired. It can be re-cut, but you don’t want your 6ct diamond suddenly being a 5.5ct diamond. When cleaning, use warm water, a soft toothbrush and a drop or two of mild detergent. Work the brush into all the crevices of the setting, but don’t use force. Let the bristles of the brush do the work. Once clean, wipe it with a clean, lint-free cloth and allow it to finish drying naturally. As with all jewelry, if you have any worries, ask a professional to do it for you. Click here to view our collection of big engagement rings.